1. 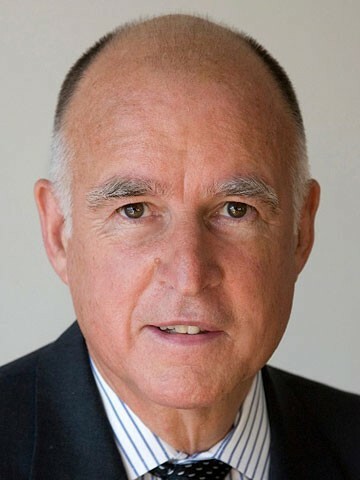 Governor Jerry Brown and the state legislature illegally redirected $331 million in funds that were supposed to help homeowners dealing with foreclosure, a judge has ruled, according to the AP (via the Chron). Brown and the legislature funneled the money into the state’s general fund — a move that Sacramento County Superior Court Judge Timothy Frawley said was unlawful. Several lawmakers and community assistance groups are now calling on the governor to refund the money. 2. Several bills in the state legislature would reform Prop 13 by closing the loophole that has allowed corporations to avoid paying billions in property taxes each year, the Chron reports. San Francisco Assemblymember Phil Ting’s bill AB 1040 is getting a hearing today in the Assembly, and state Senators Loni Hancock, D-Berkeley, and Holly Mitchell, D-Los Angeles, introduced Prop 13 reform legislation last month. 3. The fatal shooting of a Pleasanton woman — Kathryn Steinle — in San Francisco has sparked a national debate on immigration because the killer was released by jailers even though he had an immigration hold on him, the Chron reports. San Francisco, like Oakland and Berkeley, is a sanctuary city and does not honor federal immigration holds — unless the person in custody is accused of a felony. In this case, the shooter, Francisco Lopez-Sanchez, was released because he was only suspected of a minor pot charge. 4. The state Supreme Court has ruled that prosecutors cannot examine the personnel files of police officers who testify in criminal trials — unless it’s part of an official investigation, the Chron reports. The court ruled that police officers’ personnel files are private. 5. And Hayward police officers shot a man — James McKinney, 29 — in the back several times, killing him last year, even though McKinney was naked and unarmed, according to a federal lawsuit filed by McKinney’s family, the Chron reports. Police say McKinney lunged for their weapons.